On days when rain or cold weather keeps us inside, it can be difficult to keep everyone entertained. Luckily, there are several fun in-home activities for both kids and adults that won’t break the bank. 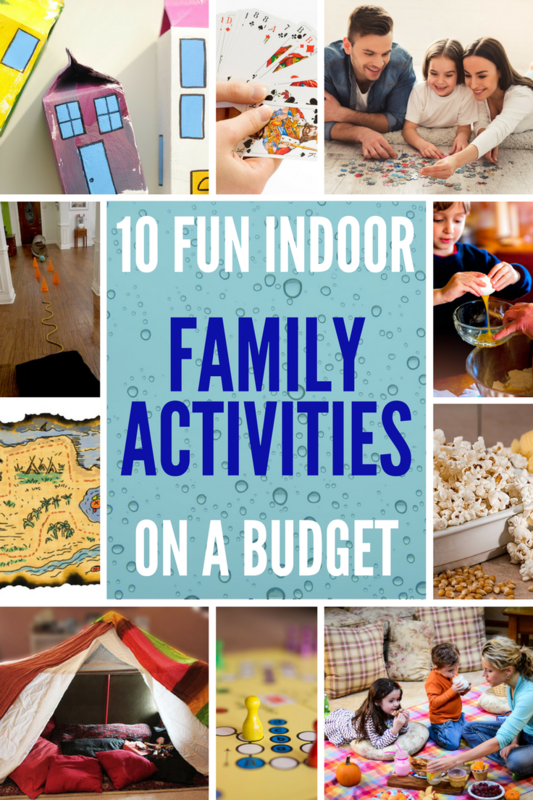 Avoid cabin fever with these ten activities! Just about everyone owns a board game or two – you could even try to create one of your own as a fun family activity. Board games are always a great option for entertainment and quality family time. There are plenty of family friendly card games for all ages – Go Fish, Crazy Eights, and Rummy are fun games to play. Springbok has a great six pack of kid-friendly card games the whole family can enjoy! Jigsaw puzzles are fun for the whole family! There are a variety of piece counts to choose from – there are even puzzles that have both smaller and larger pieces combined into a single puzzle so the entire family can puzzle together. Check out some of Springbok’s family puzzles! Create a scavenger hunt and have your kids decode clues to find objects in your house. There could even be a prize at the end – make it interesting! Download our free printable – simply print, cut out, and place the clues around the house! To add even more fun, place the clues in envelopes along with puzzle pieces for each clue. Once all the clues are found, the puzzle can be put together. The number of craft projects one can do from home are endless. Scrounge up some art supplies from around the house and get to crafting! Some fun ideas include: making greeting cards for grandparents, sun catchers, or windchimes. Turn your home into an indoor obstacle course. Obstacles could include crawling beneath some string stretched between two chairs, jumping in and out of a Hula-Hoop, throwing a ball into a laundry basket, a ring toss…get creative! Grab some sheets, boxes, or pillows and build a fort together! When it’s complete, you can hang out in your fort to play some card games or read together. Get some help in the kitchen and assign each member of the family a task to help make the meal. A fun meal to prep together could be pizza, tacos, or stir fry. There are a lot of great family movies perfect for rainy and cold days. Grab a large blanket and picnic in your living room. You could combine some activities and watch a movie while you picnic. Make the picnic feel more authentic with a basket and picnic foods like macaroni salad, sandwiches, and fruit.